Another blog, another day. 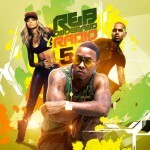 We’re back to let you know about the hottest free music on the streets. 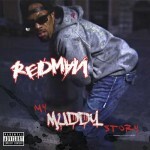 One of the best out there right is Redman’s release. 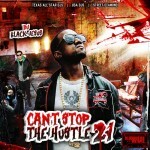 DJ Black Jesus returns to the game with the 21st edition in the “Can’t Stop The Hustle” series. 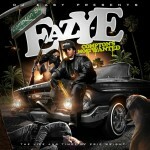 It’s been a long time running since we had one of his mixtape releases on the site. 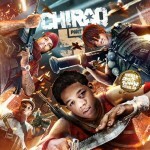 You can check out music by Drake, Cheeda Da Connect, Rick Ross, SNYD, Tech N9ne, Future, Waka Flock Flame, Rocko, Young Thug, and a whole list of popular artists. DJ Jazz and Hash Beatz are back at it again. 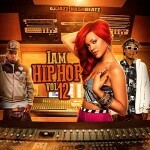 They give you another classic in the “I Am Hip Hop” series. Part 12 is gonna play you funk from OT Genasis, Curren$y, E-40, Sage The Gemini, Lil Wayne, Wiz Khalifa, and be sure to check out the Quiet Storm Freestyle by Fabolous. Kendrick Lamar is one of the hottest from the West Coast no matter how short he is. DJ Age decided to bring you a blend mixape. 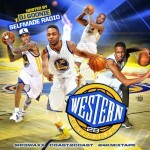 This one features classics from George Clinton, Drake, ScHoolboy Q, Tupac, Ab-Soul, Punch, Dom Kennedy, and others. Canadian native, DJ Scratchez releases another hot and steamy free music product. 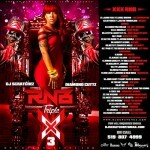 One of the hottest is back with part 3 of the “Triple X” series. This is one for the bedroom with music by K/ Michelle, Christina Milan, Alyxx Dione, Akon, August Alsina, Maejor, Lyfe Jennings, Rossi, Kirko Bangz, and much more. Hash Beatz and DJ Jazz return and promise to give you 30 mixtapes in the 30 days . 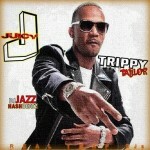 A release form the Memphis, Tennessee born Juicy J. This product also features emcees such as Rick Ross, Project Pat, Chevy Woods, A$AP Ferg, Big K.R.I.T, Lil Bibby, and more. 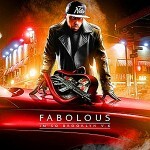 Finally is a mixtape from the one and only Superstar Jay. 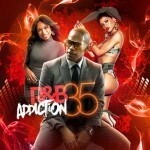 This one is titled “Fifty Shades of R&B Confessions” similarly titled with the book “50 Shades Of Gray”. Musicians include Olivia, Jamie Foxx, Tinashea, Anthony Hamilton, Jodeci, Ursula, Tiara Thomas, and so many more in the R&B industy. 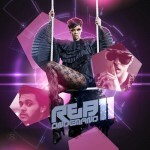 Back again to give you the hottest in free music. This is a non-stop business to play what you like. Interested in being a fan, come join us here. This blog post will review some of the best releases that will hopefully warm you up and get you through these cold winter months. It has been a very cold and harsh winter for most of us in the United States. Many cannot wait until the warm weather of spring is here. Some are even headed to the Caribbean for spring break, as it seems the only obvious choice for relief from the frigid weather. We always carry the top free music that can be streamed and downloaded free on your computer or mobile device. 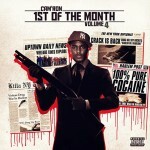 The first free mixtape is volume 28 in the “Stash House” series. 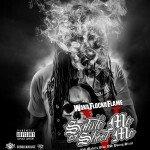 This title is sponsored by Street Runnaz Clothing, who always has one of the south’s best, DJ Spintak on their roster. Since they are primarily located in the southern part of the United States, this release mainly contains music from that region. 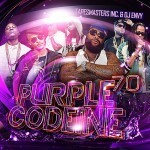 Some of the industries top music artists make an appearance on this 17-track release such as Rick Ross, Young Thug, Yo Gotti, Young Jeezy, 2 Chainz, Future, Young Buck, Chief Keef, Gucci Mane, and the list goes on. This series always gives you some of the hottest free music downloads at the time of release, so be sure to check it out. Next, is a product by one of the top emcees to come out of Atlanta, Young Thug. Some refer to this guy as the new Lil Wayne. Recently there has been much controversy over Lil Wayne’s “Tha Carter V” retail album being held back by the Cash Money boss, Birdman. Maybe the reason being is because of Young Thug’s new sound, which you can listen to on this mixtape to find out for yourself. 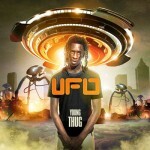 The release is titled “UFO”, which is fitting because of his music style. 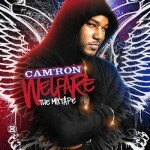 Some notable tracks on here are “In This Game”, “Like a Hott Boy”, and “Stuck On Me”. 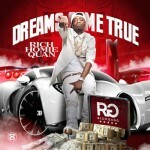 Features on this drop include Rich Homie Quan, Kid Ink, MPA Wicced, Wavy Wallace, Future, Birdman, Problem, and others. 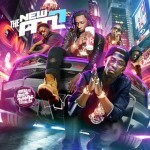 Another extravagant release of free music to check out is volume 7 of the title “The New ATL”. This product showcases some of the best talent right now to come out of The Peach State. It seems as though the south is currently the front runner in the music industry by a long shot. Much of today’s hits come from the southern part of the United States. On this free mixtape, you can find music by emcees such as Project Pat, Trinidad Jame$, iLoveMakonnen, Jose Guapo, Young Scooter, K. Camp, Travi$ Scott, Waka Flocka Flame, Ca$h Out, and many more hip hop music aficionados. 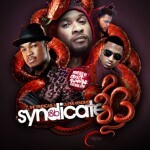 One of the Rhythm and Blues release of this post is from The Syndicate and DJ Five Venoms titled “Syndicate R&B 33”. 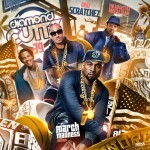 These DJs are also on the Street Runnaz roster. 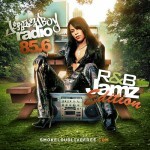 This product will play you some of the best free music in the R&B category out right now. New and remixed tracks by Ne-Yo, Miguel, The-Dream, Trey Songz, Tinashe, Eric Bellinger, Omarion, Rihanna, Elle Verner, Chris Brown, and many more top performers to stream on this mixtape. 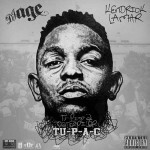 One of the hottest tracks out right now is by West Coast rapper, Kendrick Lamar. 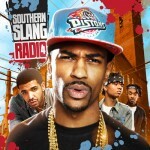 Titled “The Blacker The Berry”, this hot single can be found on volume 4 of the “Southern Slang Radio” mixtape series. In fact, this release gives you some of the best free music to download that is currently receiving plenty of spins on the airwaves. Other notable acts to give a listen to are Big $ean, Fetty Wap, Tyga, Drake, French Montana, Kanye West, ScHoolboy Q, John Legend, YG, E-40, Meek Mill, and the list goes on. 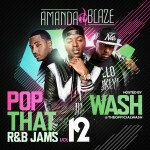 Finally, volume 11 of the “R&B On Demand” collection gives you the hottest free music on the slow jams market right now. 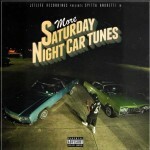 All of the mixtapes reviewed in this blog post play you the best records available. 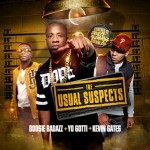 Many R&B fans will want to give this title a play as this release has a new song by Jodeci titled “Every Moment”. Many people have wondered if they will ever make a return to the music industry. Maybe this is finally it? Other singers to check for on this product include The Weekend, Rayven Justice, Pretty Ricky, Charlie Wilson, Mario, Tank, Bobby V, Kristina Debarge, Luke James, and more. This wraps up another edition of us reviewing some of the best free music to download or stream on the top mixtapes out right now. We always appreciate all of our users and cannot thank you enough for making us what we are today. Those of you that are looking for some of the premium benefits we have to offer, you can find out more info about that here. Hopefully this cold weather will will be over soon, so everyone can ride around with the windows down and blast the hottest, new music out.